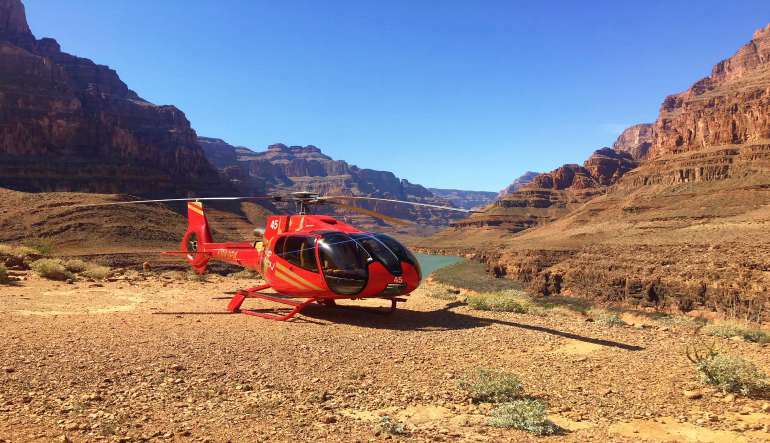 Delight in the most popular Grand Canyon tour from Las Vegas. The flight route takes you over Hoover Dam, Lake Mead, extinct volcanoes, the Colorado River, and the scenic beauty of the Mojave Desert. 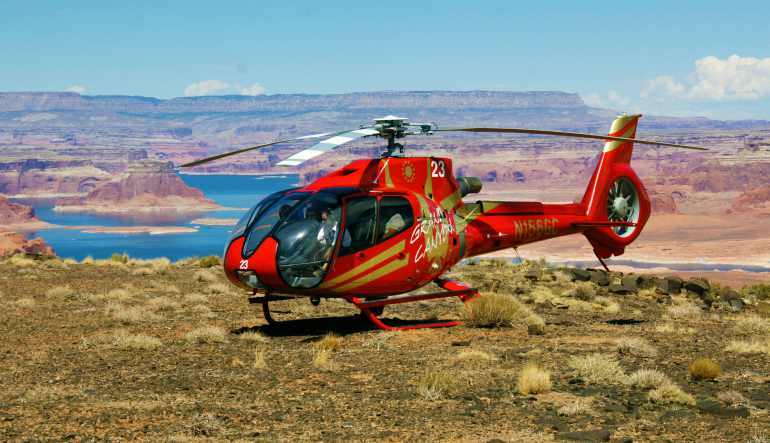 Delight in the most popular Grand Canyon tour from Las Vegas. The flight route takes you over Hoover Dam, Lake Mead, extinct volcanoes, the Colorado River, and the scenic beauty of the Mojave Desert. The best part? The exclusive landing 4,000ft below the rim where you’ll enjoy a Champagne lunch. All fees included - Nothing more to pay on the day! 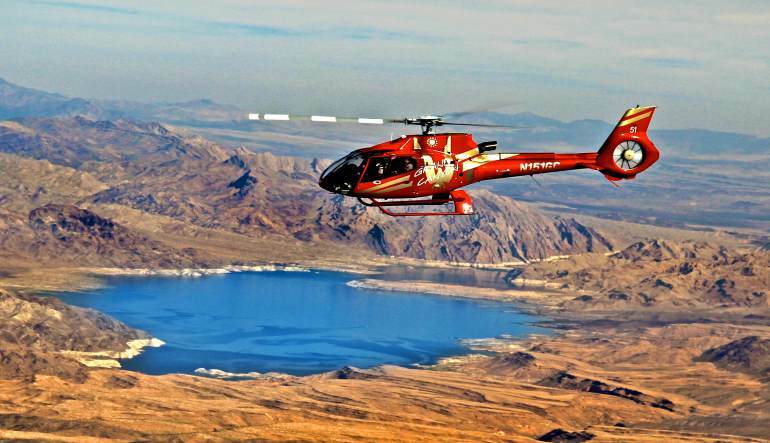 Departing from Boulder City gives you the opportunity to fly over the great expanse of the Mojave Desert and the Grand Wash Cliffs on the Hualapai Reservation. 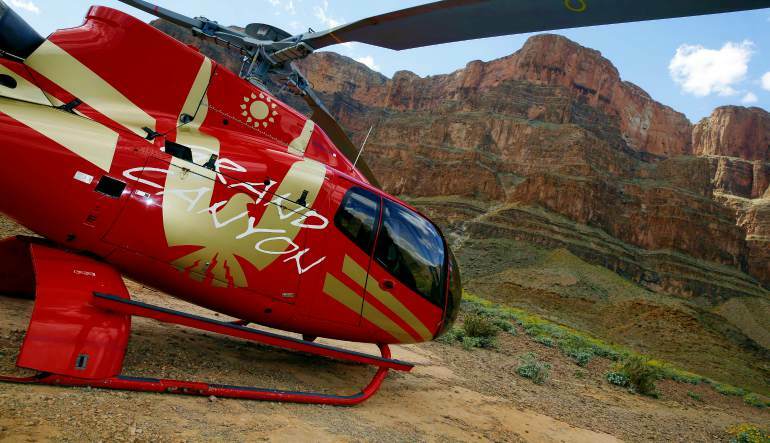 Book your Grand Canyon helicopter ride with landing today! Couldn’t recommend this adventure highly enough! A breathtaking experience. Our pilot was extremely experienced, knowledgeable and friendly. Make sure you pay the extra to land! It made the experience. Jennifer was awesome, flight was awesome, words cannot describe how much we enjoyed. Our pilot Thomas was excellent not only his knowledge but his personality made the trip awesome. We had a great time and our pilot was great! Passengers weighing 300 lbs or more will be required to purchase a "comfort seat"